Ann O'Brien RN, MSN, CPHIMS, FHIMSS is an accomplished thought leader with over 25 years experience in Nursing Informatics and clinical transformation. Her contributions have focused on system level strategic optimization of EHR data and technology to improve patient safety and quality outcomes most recently at Kaiser Permanente in Oakland, CA. Her work leverages inter-professional teams and advanced analytics to support the quadruple aim. Ann is a strong advocate of transforming nursing documentation and the critically important work of the Nursing Knowledge Big Data Science Community. Ann has a BSN and MSN in Nursing and a Post Master's in Nursing Informatics. Ann is an alumna of the Robert Wood Johnson Foundation Executive Nurse Fellows 2011 cohort. Ann's passion is improving clinical processes to move from data to information to knowledge in order for clinicians to provide highly reliable, evidence based, personalized care. Jess is a Senior Expert at McKinsey & Company's Washington DC office. Her most recent role prior to joining McKinsey was leading Data and Systems for Medicaid at CMS. She has over 25 years of experience in national, state and local healthcare programs in government, non-profit and corporate settings. She specializes in state Medicaid and Social Services Programs, public sector data and technology. Jess holds an MPH from Tulane University and BA's in Government and French Language from The University of Texas at Austin. Judy Murphy is CNO for IBM Healthcare, where she is strategic advisor to clients, responsible for building relationships and expanding business across the healthcare industry. Previously, she was CNO and Deputy National Coordinator for Programs and Policy at ONC, where she led efforts to assist healthcare providers to adopt health IT and promote consumer use of health IT. Before that, she was VP-EHR Applications at Aurora Health Care in Wisconsin, where she was a pioneer in health informatics and spent 25 years evolving clinical systems. She publishes and lectures nationally and internationally, has served on the AMIA and HIMSS Board of Directors, and is a Fellow in the American Academy of Nursing, the American College of Medical Informatics and HIMSS. Prior awards include the AMIA 2014 Don Detmer Award for Health Policy Contributions in Informatics, the HIMSS 2014 Federal Health IT Leadership Award, and the HIMSS 2006 Nursing Informatics Leadership Award. Carla Smith is Executive Vice President of HIMSS, a global organization focused on better health through information and technology. HIMSS leads efforts to optimize health engagements and care outcomes using information and technology. As a HIMSS executive, Smith leverages her thought leadership, and extensive experience in nonprofit management, to achieve HIMSS’s mission and maintain its financial health. Smith has 30 years of experience in the information and technology field, two-thirds of it focused on healthcare. She champions transformational innovations in the health sector, ensuring the right knowledge is available to the right people at the right time to make the right health- and care-related decisions. In addition to her responsibilities at HIMSS, Smith holds an appointment to CMS’s Outreach and Education Federal Advisory Committee, Chairs the Advisory Board of the Global Center for Health Innovation, serves as an advisor to the University of Michigan’s Health Informatics and Learning Health System programs, and is a publicly-elected official for the Village of Barton Hills, Michigan. 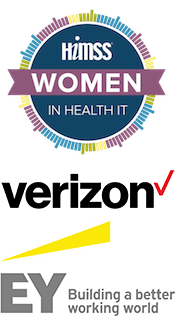 In both 2017 and 2018, Health Data Management named Ms. Smith as one of the most influential women in health IT. In 2015, Ms. Smith received similar recognition from Fierce Healthcare. Before joining HIMSS in 2001, Ms. Smith served for seven years as the Chief Executive Officer of the Center for Healthcare Information Management (CHIM). Prior to entering the health sector, Ms. Smith focused on information and technology-related innovations within the manufacturing and banking sectors. She holds a Master’s degree, and has earned a Nonprofit Management Certification from Case Western Reserve University, and as well as her HIMSS Fellow status.